We’ve corrected some issues view and mobile usability in the MyStyle Custom Product Designer plugin for WordPress/WooCommerce. This was an issue that some devices have had with the app not fitting the page well, sticking off the page to the right on small screens. We’ve also added a few more tweaks and tunes to make usability a little more natural for mobile. If you update to the most recent version of our core plugin (any version 3.9.0 or above), you will get the new updates that fix these issues for smart, responsive page auto-adjustments. Responsive was always supported with the app, and the viewport zooming too to some extent, but it was limited and had some problems with some screen sizes. In many cases, the theme often can leave the page unfitted for the app. The viewport now automatically adjusts much better so that the design app can fit in portrait mode to the screen without any pinching or zooming. Essentially, we’re doing the perfect pinch-zoom for the user, so that they don’t have to, and locking it in there. We update this on page resize events so that if the user turns the phone or tablet sideways, it re-calibrates the zoom, in addition to switching modes from Portrait (buttons on bottom) vs Landscape (buttons on top/left). This should help most sites automatically leave enough room for dragging on the handlebars on the sides as well. You can disable the viewport zooming in the MyStyle settings, if your theme or your custom code already takes care of this. Just be sure to allow a minimum app width of 550px to allow for the application plus draggable side handle space. Full screen, the app really works best. The full screen button, however, was beneath the app where it might go unnoticed. So, we’ve moved the button to the top of the page to make it quicker to see right away before getting down into the app on page by scrolling. This should encourage a lot more users to go full screen, where scrolling is eliminated entirely. We’ve added some subtle handlebars to the left and right of the app for users to be able to scroll easier if they’re on a smaller size screen, since the main design area touch-and-drag will move the design elements rather than the page. DIVI is a popular theme for wordpress that uses an 80% page width. We’ve overridden this now to allow the app to use more of page size by reducing their default margins and page size just on the Customizer page itself. Yesterday we shipped 3.1.2 with an update to fix new WordPress update errors with MyStyle plugin’s initial activation. WordPress shipped an update recently that includes a new “Sandbox for Security” feature that essentially runs plugin code, which can include front-end code, in the admin in a new way of pre-checking for errors. But, in fact it causes some errors, too, since front-end run time code can sometimes rely on non-admin page variables, and won’t be able to find them in the admin. This probably effects a lot of plugins who will have to do the same sort of patches we’ve just done. In any case, we’ve patched up the issues with this new WordPress change and everything should work fine now. Strangely this only seemed to affect some systems and not others, but for whatever reason activating the plugin would cause an error in this pre-check that would gallivant thru the admin notifications like an actual Fatal Error would occur if enabled, when really there was no error once activated at all. In any case, we’ve adapted to the new checks and fixed this issue in our latest release of the MyStyle Custom Product Designer plugin for WordPress / WooCommerce. * Bug Fix: Fixed a bug with our design profile shortcode and WP 4.9’s new Sandbox for Safety feature. * Updated the readme.txt to reflect that the plugin is compatible with up to WordPress 4.9.2. We’ve just released a minor update for the plugin that verifies unit tests have passed on the most current WordPress and WooCommerce versions as listed below. There is also a fix for an admin debug tool for repairing the design pages for an old legacy bug that rarely occurs. This update is not critical or required if your system is already stable, but is safe to use with all versions of WordPress and WooCommerce. Fixed an issue with the Design Profile Page Fix tool. The main product link for customized cart items now goes to the regular product page (it was previously going to the design profile page). Added a system for theming the output of the plugin. Added a theme-able template file for the output of the cart item thumbnail for customized products. Update by pressing “update” on the main MyStyle Custom Product Desginer plugin in your WordPress plugins list. UPDATE 5/31/2017: We have released 2.0.1 which patches some issues being caused by the plugin/add-on load order which we have no control over. In my dev environment, the design manager was loading second and then it worked. In v2.0.1 (of all of our add-ons) I updated the code so that it will work regardless of the plugin load order. To keep things in sync we’ve updated to major revision number 2.0.0 for our main WordPress plugin (MyStyle Custom Product Designer). This is a distinct change to many of the hooks and programming methods that were previously used in WooCommerce 2.X. This means any MyStyle plugin with version 2.0 or higher will be compatible with the current WooCommerce version (3.0.7) or older, and will most likely stay compatible with WooCommerce’s upcoming minor revisions and updates since their 3.X changes were also a major update that cleaned and refactored significant internal core programming and should last them years with their new structure. v2.0.0 of the plugins supports WooCommerce 3.0.x and PHP 7.0.x. They are backwards compatible and still support WooCommerce 2.x.x and PHP 5.3-6. Since the main plugin is backwards compatible with the old versions of the add-ons, older versions of php and WooCommerce 2.x, everyone should be able to upgrade all of our MyStyle add-on plugins without issues. It should be noted however, that the change-variations-in-cart plugin and product add-ons plugin aren’t yet compatible with WC 3.x or PHP 7. So sites using these plugins should stay on WC 2.x and PHP 5.x for now. It should also be noted that many other plugins from other companies don’t yet support WC 3.x and PHP 7, so updating even when not running the above two plugins should be done with care. The HTML5 app now supports SSL out of the box in BETA form. If you are in need of an https:// (SSL) solution for your website, use the checkbox to force HTML5 only to test out SSL support! Be sure to update your site plugins accordingly if you’re using WooCommerce 3.X or higher. We recently released MyStyle Custom Product Designer plugin version 1.7 for wordpress / woo commerce. You can update right in your WP Admin by clicking update on the plugin. As usual, bots are ruining nice things on the internet. Because of the large amount of bot traffic (including both legit bots like search engine bots, monitoring bots, etc and also spambots and hackerbots and such) session data to track user designs may have increased the database table sizes significantly, depending on how your site is set up to block bots or not. In some cases, the tables were very very large having stored hundreds of thousands of bot sessions. This was discovered in versions less than 1.7 in May 2017 and quickly fixed. With version 1.7 design sessions will only be stored upon design completion, and the database will be automatically purged of old bot session data. If the table sizes grow large enough, it could cause poor performance on the website (slowing down website response time). MyStyle Custom Product Designer v1.7 and higher will automatically clean up old session data in the DB, purging it entirely to shrink the table size. New sessions will not be stored for bots, keeping things small and clean. If you are using the MyStyle Custom Product Designer for WordPress / WooCommerce and have a version less than 1.7, we highly recommend updating to 1.7 to auto-clean your session data from the DB and prevent bots from slowing down your database. Please be aware that we recently put out an update v 1.6.1 of the MyStyle Custom Product Designer plugin for WordPress / WooCommerce. This release fixes a critical error in the mystyle handoff (present in version 1.6.0 only) flow that would prevent a design from being saved to the website or cart, but it would send the saved email to the author anyway. With version 1.6.1 this error is fixed. This release was put out the same day that the bug in version 1.6.0 was reported. Thanks to Eugene for finding and posting the bug in the forum first immediately after the first release so that we could fix it and put out the next update quickly. If you have < 1.6.0 or you have 1.6.1 or higher, this will not effect you. You can safely continue to use the version you have, or download the WordPress marketplace version (1.6.1 or higher) and either way you should be stable. We apologize for any inconvenience this may have caused anyone who updated between the two releases, but the fix was out really fast so it did not have time to show up on most sites. We now offer the best Woo Commerce plugins with amazing discount prices in our marketplace. For the most part, we’ve got every official WooCommerce plugin by WooThemes for 50% off or better. We’re able to pass these amazing discounts on to our customers, saving you hundreds, even thousands of dollars on these plugins. If you’re looking for a specific plugin that we don’t have in our marketplace, please contact us and let us know and we can probably add it for you. WooCommerce is well known as one of the best e-commerce systems in the world, integrating seamlessly with WordPress and making ecommerce easier than ever. That’s great, and most people get up and running with Woo Commerce just fine – until it’s time to start adding features that come in the way of plugins. WooThemes has put out lots of great plugins, but they’re all very expensive. Even for things that seem like they should be free, like PayPal as a payment method in checkout, starts at $79 and can range as high as $399 when you buy direct from WooThemes – that’s too much! If you purchase here on our website, you get the EXACT same plugin, for half the price! 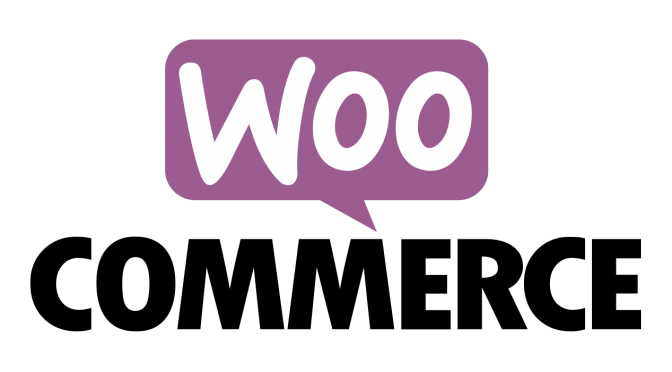 We have discounts on literally all the best WooCommerce plugins by WooThemes. How is this possible? Because when you buy from WooThemes, you’re really paying for support that we can offer even better at half the price. Every plugin they sell for $100, for example, comes with 1 year support and updates. We offer the exact same thing, 1 year of support and updates, at $50 (or whatever half-off of their price is). Is their support worth paying double? No way! Plugins for the most part don’t need much support, and when you buy from us you get 100% USA-based senior level experts helping you get your plugin up and running, not generic tier-1 support and forums from WooThemes. So all-in-all, not only can you save 50% or more on your plugins for WooCommerce, but you can actually get even better support from us, too. Ready to Shop Woo Commerce Plugins at Great Prices?